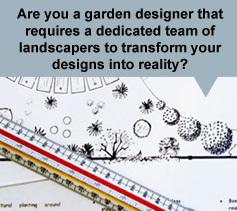 Creative, professional landscape design by experts with passion. A garden design is vital to ensure that you get the most from your outdoor space, and that it suits you, your family and your lifestyle. Each design is completely bespoke, making sure that your garden is unique and personal to you. Whether you use your garden as a functional space for the family or for entertaining and enjoying at the weekends we can transform your current space in to a garden to be proud of that you will enjoy for years to come. 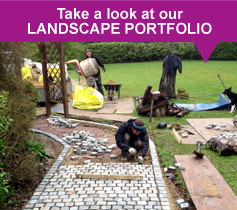 Transscape offer a full landscape design service for gardens of all shapes, sizes and current condition. We have a wealth of experience in contemporary, traditional, wildlife and show garden design, and are passionate about what we do! No one project is the same, and the process is tailored to suit your individual requirements. We can also produce Presentation Plans, Hard Landscaping Plans, Lighting Schedules, Product and Material Specifications, Tender Documents, Construction Details, 3D CAD Images and Annual Garden Maintenance Schedules if required. * Transscape offer a 50% discount on all Design Fees if we are appointed to carry out the complete construction of the garden as per agreed designs within 6 months of design completion and presentation date.